Description: New genuine Acer 200 watt computer power supply. This may be the part you need if your computer is not starting. Compatible Part #'s: DC.2001C.002, FSP220-50AANA, PS-5201-05A1, D12-200N1A, D200R001L, DC.2001B.001, DC.2001B.002, PY.20008.014, DC.2001B.003, DC.2001C.003, DC.22018.006. 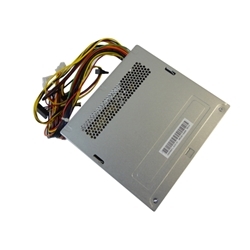 Acer Aspire 1602M, M1160, M1470, M1660, M1860, M1935, M3160, M3860, MC605, TC-100, TC-105, TC-120, TC-602, TC-605, TC-606. Acer Veriton E430, E430G, M288, M290, M2611, M2611G, M2630, M2630G, M2631, M2631G.